Freebies footage vector images collection with various abstract decorative designs. Three-dimensional cube with striped decorations on the walls, splatter decorations with paint blobs and curved patterns. Free vector illustrations for all your clothing prints, tattoos, logos, icons and poster decorations design projects. 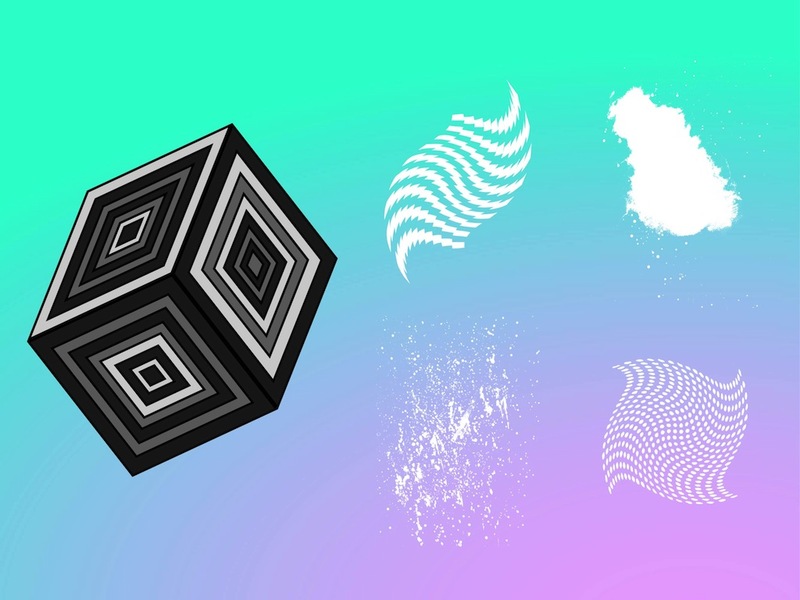 Tags: 3D, Cube, Decorations, Grunge, Optical Illusions, Patterns, Splatter.